To be honest, we have not found any single reason not to use Intrusta. Simplicity is its main advantage. You don’t need to spend hours comparing prices and features of all antivirus products available in the market. One basic plan has everything. All you have to do is decide how many devices you are willing to protect. The protection level is also high. Although there are no tests results from independent labs, we discovered that the antivirus is effective enough to guarantee peace of mind to every user. The protection is very affordable; besides, there is a money back guarantee — nothing to lose. Finally, Intrusta can boast excellent customer support which will help you with any issues. Our verdict: the product is worthwhile! Intrusta has only recently entered the antivirus market, but it has many fans already. The company claims there are 500 000 000 people around the world that trust their product. Although we cannot check this in our Intrusta review, the fact that the antivirus provides top-notch anti-malware, anti-ransomware, anti-spyware, and anti-adware protection is obvious. Every package includes the same features – anti-malware, anti-ransomware, anti-spyware, and anti-adware protection. The app is set to update itself every few hours. Available for Windows and Mac computers. Since Intrusta is a new product, the independent testing labs such as AV-Comparatives or AV-Test did not have a chance to check it yet. But of course, this is not the reason to ignore the product. We decided to conduct our tests to see whether Intrusta is a reliable antivirus. The results are quite impressive. Intrusta managed to detect all types of malware we used, including zero-day samples, without a single false-positive. Also, the antivirus blocked suspicious pages immediately and would not allow opening dubious attachments. The company says Intrusta uses an innovative anti-malware tool capable of protecting every machine from all kinds of malware. 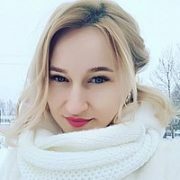 This also includes top-notch spyware and anti-adware protection to prevent leakage of any data from users’ computers and stopping advertisers from filling them with any unwanted ads. The antivirus uses advanced anti-ransomware protection to help you stay away from number one online threat. Intrusta is capable of detecting suspicious activity around your computer and stopping it before it becomes too late. Intrusta does not provide special email scans, but its malware, spyware, and adware checks are capable of detecting suspicious behavior no matter where it comes from. Also, the antivirus engine scans every file your download online automatically to make sure it doesn’t bring anything dangerous to your machine. Once it suspects something, it would quarantine the file. Intrusta provides top-level security, but it doesn’t use much of your computer’s resources to do its job. Because it does not have too many features which become a burden on the OS, Intrusta works without compromising your machine’s speed. You won’t even notice the antivirus is doing a deep scan of your computer and will be able to work normally. Intrusta is extremely simple which makes it a great choice for less tech-savvy users. You won’t have troubles installing the app. Once you decide which plan suits your needs best, purchase it and register, the software will download to your machine automatically. Then, you will be asked to either Run or Save the software, and it is up to you to decide. Note that Windows Defender may send you a note that it is blocking Intrusta. However, you will go around the blockage easily and install antivirus. The whole process takes a few minutes only. 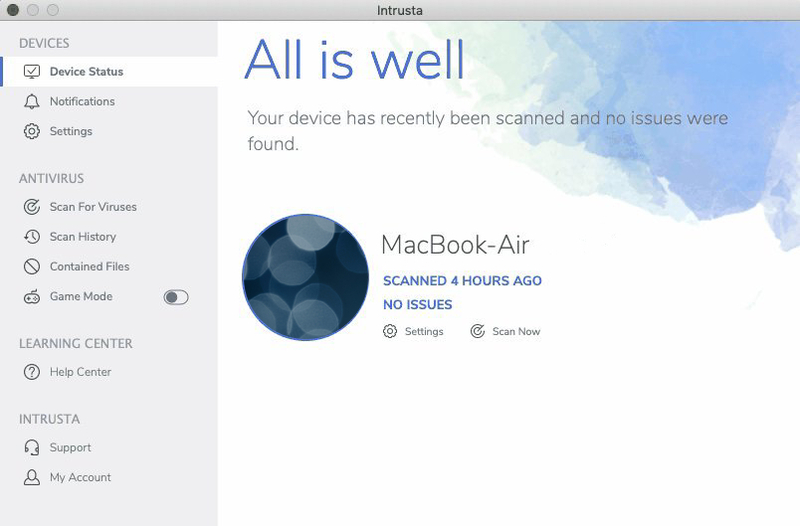 Devices – makes it easy to manage and maintain all the devices you choose to protect with Intrusta. Learning Center – includes a solid knowledge base. 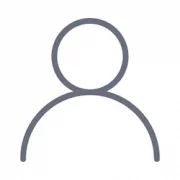 Intrusta – this is your door to the support team and your account. 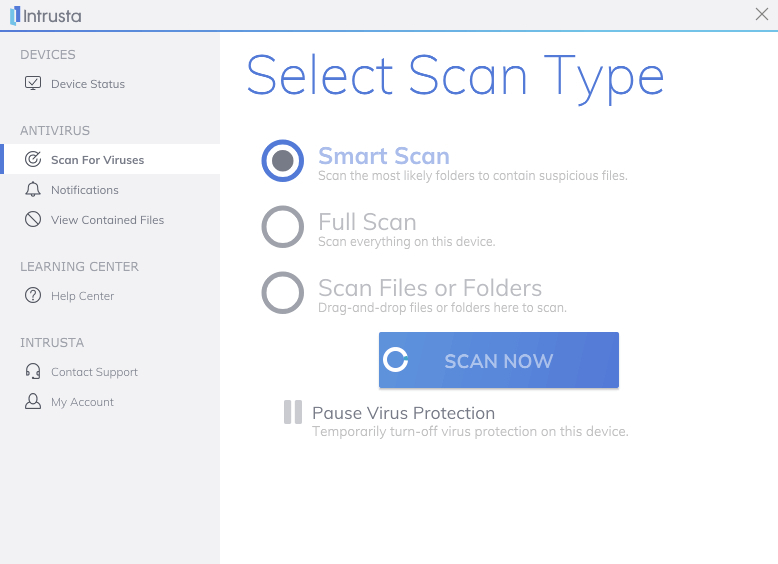 The antivirus will automatically check your devices for threats daily. But you can always do manual scans too. 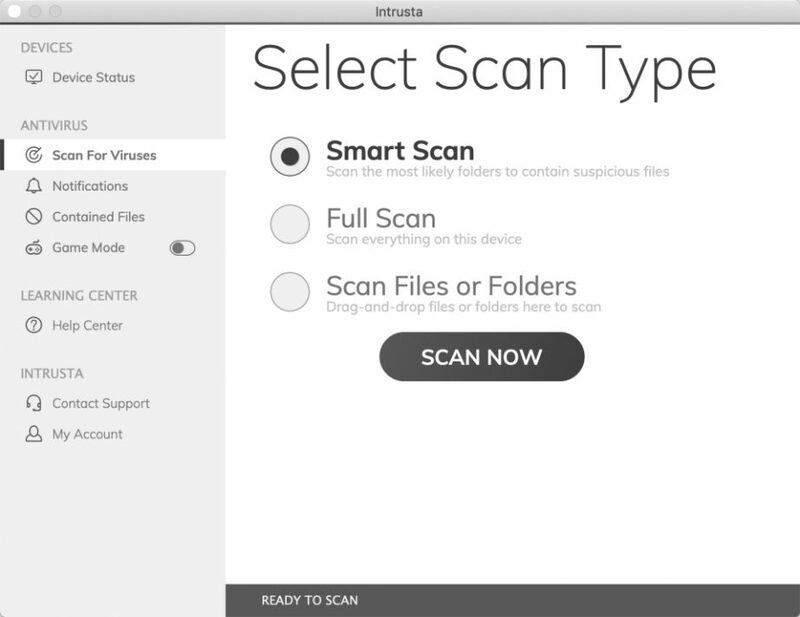 Intrusta offers three scan options: smart scan, full scan, and a scan of files or folders. Note that the smart scan would take about 1-2 hours or even more if there are too many files on your machine. Whenever the antivirus finds anything suspicious, it will quarantine the file and delete it in 30 days. But you can delete it manually whenever you want. Intrusta is very simple in terms of features. In fact, it does not have any extras, and all offers include the same anti-malware, anti-ransomware, anti-spyware, and anti-adware protection tools. The only difference between offers is the number of devices you want to protect with the antivirus. Intrusta is exceptionally transparent in the pricing. If compared to other companies which try to hide the fact that the cheap subscription will become more expensive when renewed, Intrusta communicates this issue openly. The company stresses that it offers a discount to new customers and the price will be higher after one year passes. However, the full price is still lower than what other vendors provide. Note that you can upgrade and downgrade your plans whenever you want. Also, the company is ready to return you the money within 30 days after purchase if you don’t like the product. Without a doubt, support is one of the main benefits you get when purchasing Intrusta antivirus. First of all, there is a comprehensive Help Center on the website. You will find plenty of useful articles about Intrusta itself and also some useful online security tips. If you have some question to address to company representatives, during business hours you can reach the customer service immediately either via an on-site chat or by phone. Outside of business hours, send them an email and expect to get an answer within a few days.